So good, you'll wonder why you play consoles at all. The mobile gaming market is quite possibly one of the most varied in all of the industry. There's a veritable menagerie of different type of games for a wide assortment of players, making it versatile and viable for all audiences. And amongst what there is offered out there on the App Store and Google Play, some franchises are more worthy than others. These five are some of the best that mobile gaming has to offer, and we think you'll tend to agree as well. What else but Angry Birds could take number one on our list? 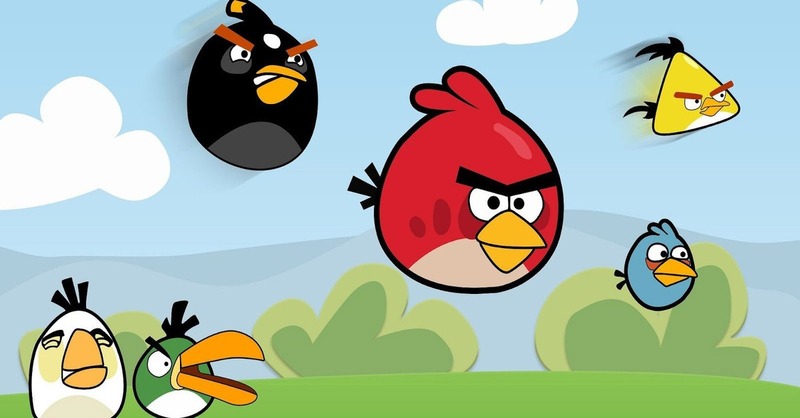 Rovio's megahit has spawned several spinoffs, other media, enough merchandising dollars to support the creators for years to come, and even a game for the evil piggies themselves to take some revenge on the birds who want to tear their homes apart. Angry Birds is simple but sweet, and it's put mobile gaming even closer to players' hearts than ever before. If we're going by which franchise have done the most for mobile gaming, we've gotta hand it to Rovio for Angry Birds really getting the word out that just because a game may be pocket-sized, that doesn't mean it's short on fun. Download Angry Birds for iPhone, iPad, and Android. Swampy the Alligator just wants to take a hot bath, and you're just the person to help him do it. That might seem a bit strange, especially as a premise for a game, but don't knock it until you've tried it. Using your finger to create paths that guide water straight to Swampy's humble abode is rewarding, and while the games are kid-friendly and sweet, that doesn't mean they're simple. Where's My Water and its sequels and spinoffs are worth every bit of your time, especially if you're a puzzle fanatic. Download Where's My Water? for iPhone, iPad, and Android. Gameloft's answer to the popular military shooters on consoles (you know the ones we're talking about) are well-produced, slick pieces of entertainment that we don't feel bad about when it comes to playing on the go. Call them clones if you must, but these mobile shooters are excellent alternatives to the big console brethren. They're so close that you'd swear you were playing one of the "big boys." Download Modern Combat 4 for iPhone, iPad, and Android. Say what you will about Candy Crush, but it's growing into a veritable powerhouse. It's already responsible for millions of dollars being ripped from the pockets of those addicted to the sugar rush everywhere, and while it's not the perfect match-three, it's still satisfying and plenty of fun, especially while on the go. We can't wait to see what King does next, but we hope it doesn't cost us all of our paychecks to complete. Download Candy Crush Saga for iPhone, iPad, and Android. There's a simple charm to Fruit Ninja that's hard to replicate in real life -- without a huge mess, anyway. Slash through fruits with the greatest of ease, with a slash of a finger. It's fast, furious, and still requires a level of skill that makes you feel amazing once you pull off a super high score. And while there have been tons of variations upon the original game over the years, the original is still the one that started it all. Bow to your Fruit Ninja sensei! Download Fruit Ninja for iPhone, iPad, and Android.